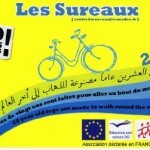 EVS volunteers are needed for projets with REF. no 2010-FR-143 and 2010-FR-64. 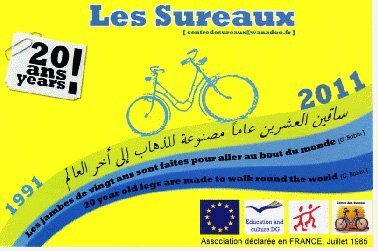 Activities will run in rural area of south west of France. Project will start in September 2012 and its duration is 1 year. Proposed activities: volunteer will be included in one of the four educational teams after talking to him/her about his/her project and affinities. Added to the team of 4, his/her presence will be a freshness of mind opened to a new language and another culture. S/he will take an active part in the daily life of the group, assisting each educationist and acting on his advices and under his responsibility. S/he will be able to lead specific actions according to his/her abilities, such as homework, sport, and manual activities or in an artistic, educational, musical aim. The volunteer will able to initiate and set up a personnel project in concordance with the target group and the context s/he will belong in the project. S/he will be able to participate in cultural workshops important for the development in a rural environment; theatre, but also other activities areas in line with his abilities (circus, music, songs, manual workshops, etc. ), workshops around cultural heritage and intergenerational groups. Volunteer will be involved in each stage of a project: the needs, conceptualisation, budget, administration, realisation, evaluation. Volunteer will support youth information office, meaning the work on information tools, punctual interventions (information days, mission Locale, schools, etc.) – work on the visibility of the YiA program. Selection criteria: Candidate should be enthusiastic, able to have initiatives, working in youth information, rural animation , speacking already French (even basic but necessary!). S/he should be able to be applyied by his/her sending organisation. Send CV and motivation letter with tittle of the project mentioned.